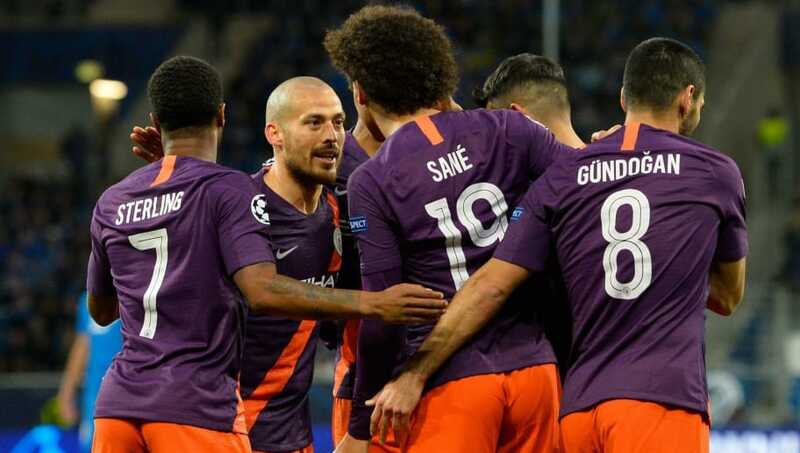 Man City are on a high at the moment, as they returned to the top of the Premier League with a 2-0 victory over Brighton at the weekend, then put things right in the Champions League with a late win at Hoffenheim. They will look to carry that momentum into Sunday's clash away to Liverpool, who sit behind them only on goal difference, and got the better of them three times in all competitions last season. Here's how City could line up, as they attempt to see off the most viable challengers to their crown. Ederson (GK) - While we know Pep likes to rotate his squad, one position that is rarely in doubt is that of his goalkeeper, and with Claudio Bravo out injured, Ederson's position is even more assured than normal. Kyle Walker (RB) - Another who is likely to face little competition for his starting berth, Walker's lightning pace could be an important asset against Liverpool's rapid front three. Nicolas Otamendi (CB) - Otamendi has been a revelation under Guardiola, transforming from something of a flight-risk into one of the league's most consistent players, and will be required to show that form at Anfield. 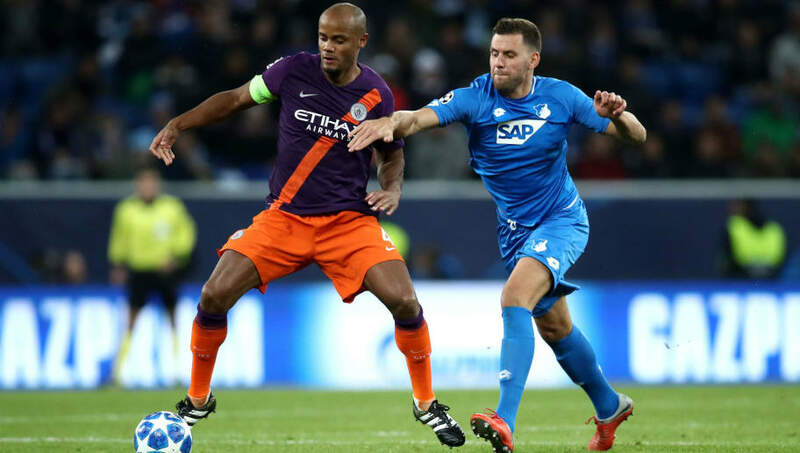 Vincent Kompany (CB) - The City captain's experience and calming presence will be crucial, as City will undoubtedly find themselves in the unfamiliar situation of being under pressure for large parts of the game. Aymeric Laporte (LB) - City find themselves with issues at left back, as both Benjamin Mendy and Fabian Delph are expected to sit out. Left sided centre-back Laporte, then, is most likely to start there ahead of Oleksandr Zinchenko. Bernardo Silva (RCM) - With Ilkay Gundogan limping off against Hoffenheim, it's not certain whether or not he will be risked against Liverpool, so Bernardo Silva may be asked to fill in here, as he has previously this season. 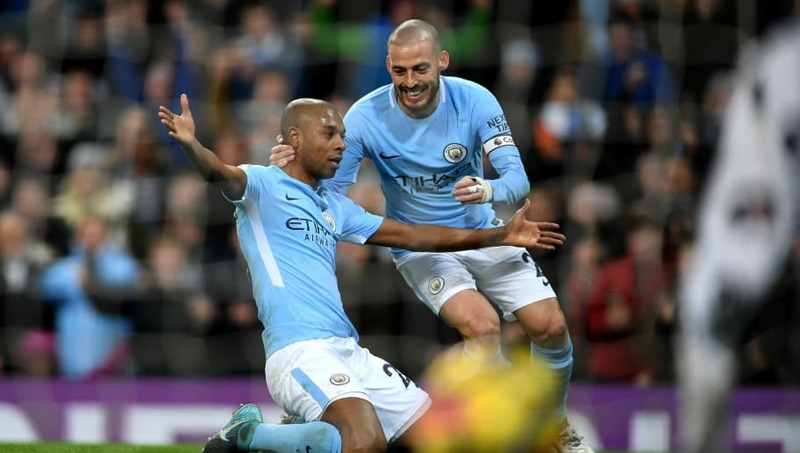 Fernandinho (CDM) - The unshakeable anchor of Guardiola's City, no matter what formation they play with, Fernandinho will be crucial to any success they may have at Anfield. David Silva (LCM) - With Kevin De Bruyne out, Silva has had to shoulder the responsibility of being City's chief creator, and it's a role he has played brilliantly in the Belgian's absence. Raheem Sterling (RW) - The English forward has steadily developed into a world class talent since his arrival as a raw teenager from Liverpool, and will be looking to cause his old side some problems on Sunday. Sergio Aguero (ST) - Gabriel Jesus' poor form coupled with Aguero being Aguero, means that the Argentine striker has won the centre forward spot for himself for the time being - and is likely to feature there against Liverpool. Leroy Sane (LW) - The German has had his controversies so far this season, but Guardiola hasn't seemed to sour on his inclusion in the starting lineup in recent weeks.